Update: This same update with the same changelog is rolling out to OnePlus 6 and 6T, but the former’s version is Open Beta 16 while the latter’s is Open Beta 8. Original post continues below. Lately, the internet has been abuzz with news and rumors about the next flagship killer, OnePlus 7. The deal with T-Mobile has definitely propelled OnePlus’ status in the U.S. and in response, the company is said to be launching two phones in the same event for the first time ever. 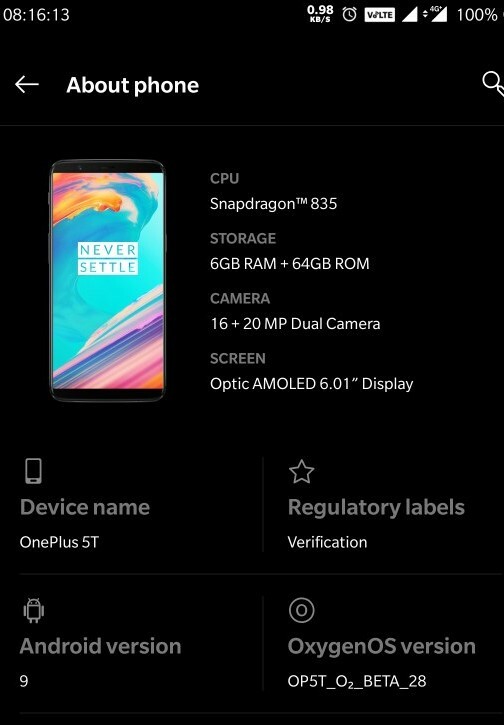 This phone will be called OnePlus 7 Pro, but while this is ongoing, the company’s software developers are still doing as great as ever for the older phones in OnePlus 5 and 5T. The upcoming OnePlus 7 will be the second (direct) successor to the OnePlus 5, with the 5T expected to get a 7T successor in the second half of the year. Those who have registered their OnePlus 5 or 5T units into the OxygenOS Open Beta program are receiving new updates that bring quite a handful of goodies. Arriving as Open Beta 30 for the former and Open Beta 28 for the latter, the updates introduce the much-elusive support for quick replies in landscape mode. The Launcher has also been updated with a tutorial in the shelf, parking location feature, and improved page indicator to mirror Icon pack. The latter is a small, but interesting addition to the UI where changes in the icon shape from square to round, for instance, will also be reflected in the page indicator that shows up when swiping between various home screens. The same update also adds support for shortcuts to access corresponding interfaces in Quick Settings and also improves network speed display. Google’s April patches are also part of the new Open Beta updates, which is as impressive as it gets. Unfortunately, we don’t have the download file for manual installation just yet, meaning you’ll have to settle for the OTA update and this may take a couple or so days to arrive.